Interested in school policies and issues? Have a great idea for solving the budget crisis? Want to learn more about ways to get involved in and impact decisions before they are made? Teens will meet with CMS superintendent Peter Gorman on Tuesday, December 7 at 5PM at the Government Center. The meeting is hosted by Mecklenburg Youth Voice, a youth-driven teen leadership program of Kids Voting Mecklenburg. All high school students are invited to participate. The CMS dialogue will be 5-6PM. We will start at 5:00 sharp. After that, students will meet 6-7PM to cover other important issues, plan future meetings with leaders and more. See you there! Here's information about where we'll be and things to think about to get ready. The Government Center is located at 600 E 4th Street (28202). Parking is available in the public deck, located off of Davidson Street between 3rd and 4th Streets. Student drop-off and pick up is outside of the Government Center in the semi-circle driveway off of 4th St. The meeting will be in room 266 on the 2nd floor. 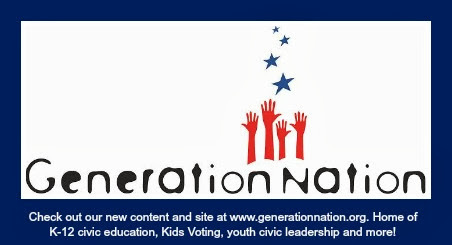 For more information, check the Mecklenburg Youth Voice page on Facebook or contact info@kidsvoting.org or 704-343-6999. Need a special invitation? Here you go: from Meck Youth Voice members Halston Lim, Aidan McConnell and Jalen Feaster!